Time to monitor Guatemala’s mining sector? 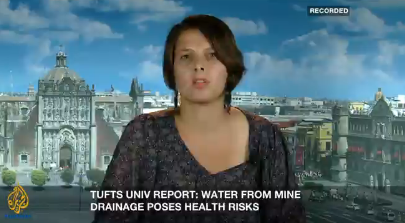 Last week I was interviewed during an episode of Inside Story Americas on Al Jazeera English where the topic at hand was Canadian mining in Guatemala. And as to the question above: Even effective monitoring wouldn’t come close to what’s needed to prevent further disasters like the one people are living in San Marcos because of the Marlin Mine. There is no sustainable way to take out five grams of gold per tonne of ore. Open pit gold mega-mining is pure greed and shouldn’t be permitted anywhere. Anyhow, if you haven’t seen it already, do have a look!